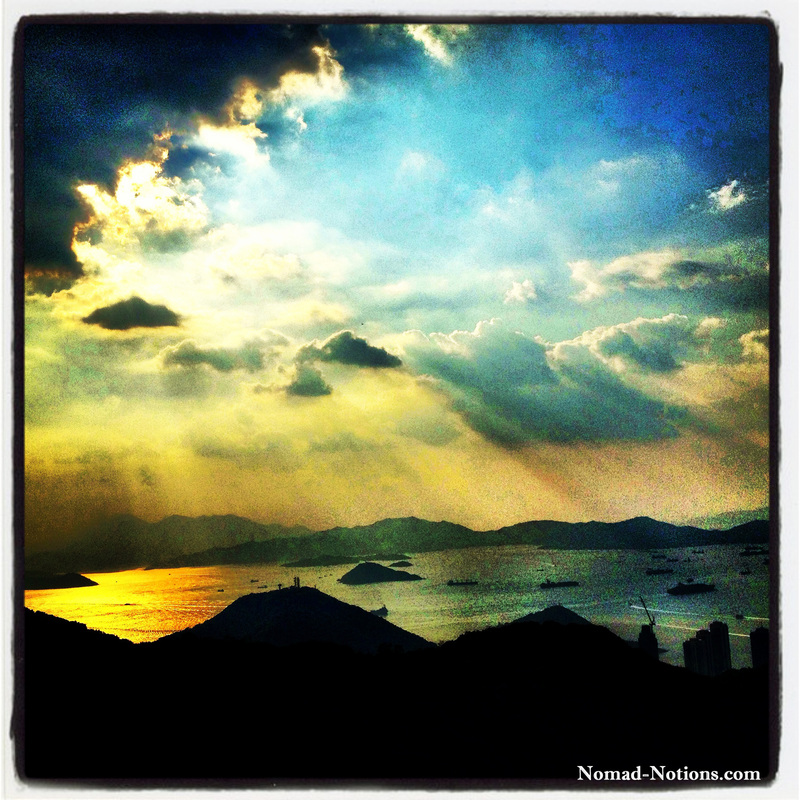 You are here: Home / Travels / Hong Kong in 3 Days. No Guidebooks. No Expectations. Hong Kong in 3 Days. No Guidebooks. No Expectations. I recently had 3 days to kick it in Hong Kong. Seeing as my time there was to be short and sweet, I opted out on any planning. My only intention for the trip was to take a break from teaching, and enjoy one of the most exciting places in the world while doing so. Okay, one guilty confession; I also wanted to visit Lululemon to buy some yoga threads (Hong Kong has one of only 3 stores in Asia). The extent of my research included reading one short article by CNN titled “45 Hong Kong Sightseeing Tips Your Guidebook Won’t Include”. Naturally, I jotted down some notes on my iPhone: visiting The Peak for that epic view, eating some North Point ink noodles Anthony Bourdain style, viewing some street art on Oil Street and Victoria Harbour, and spinning the bronze windmill at the Che Kung Temple for luck, yadayadayada. If my trip were being graded on how many of the above I checked off, I would fail miserably. Yes, I made it to The Peak, and of course I made it to Lululemon (don’t judge), but I couldn’t really be bothered to run around the city on some scavenger hunt. Instead, I traipsed around the city leisurely, exploring the nooks and crannies of Hong Kong by accident. 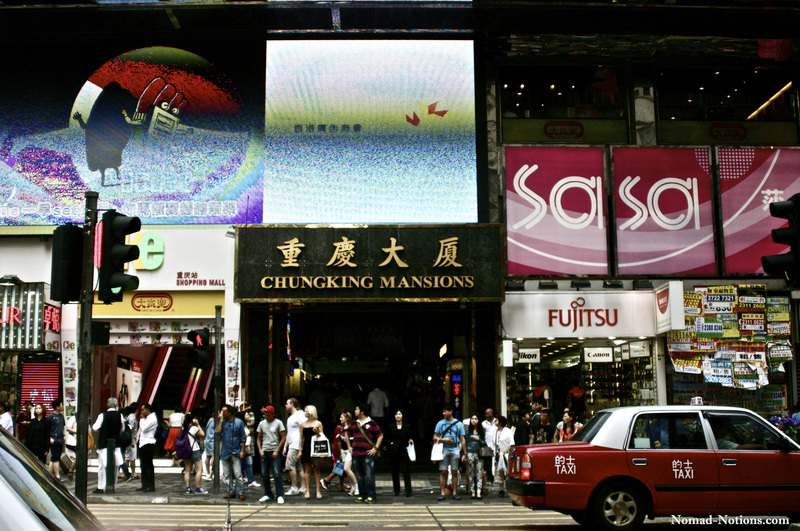 Chungking Mansions. The place to go for some knock off goods, delicious Indian food, or for some prime people watching. Birds eye view of Hong Kong from The Peak. Sun setting over Victoria Harbor. As first impressions go, all of the bridges connecting the islands of Hong Kong immediately reminded me of New York City. Coming from Taiwan, I also couldn’t help but notice the complete absence of scooters on the roads (in Taiwan, there is one scooter for every person on the island). I honestly don’t think I saw one single scoot the whole time. I did, however, see more luxury cars than I have ever seen in my life, all in the span of 3 days. The money in Hong Kong is ridiculously posh to the max. I was also a little unimpressed with the size of Hong Kong. Travelers have always told me that Hong Kong is HUGE. MASSIVE. OVERWHELMING. But after visiting, I’m wondering what all of the hoopla is about. Personally, I didn’t find it any more overwhelming than NYC or Tokyo. I actually found the city quite easy to navigate; the Metro is efficient, and one can get to all parts of the island without breaking a sweat. In light of this, when finding a place to stay, don’t worry your pretty head too much about which island you will stay on, as everything is within reach thanks to the affordable and reliable public transportation. I do recommend staying on either Hong Kong Island or Kowloon as it is close to all of the action. As for finding a place to stay, Hong Kong is inevitably expensive, but Air Bnb is a good place to find reasonable deals. And as always, try to take it easy on the guide books. 1. Exploring Hong Kong Park. The outdoor aviary is incredible. 2. A visit to see “The Nannies”. 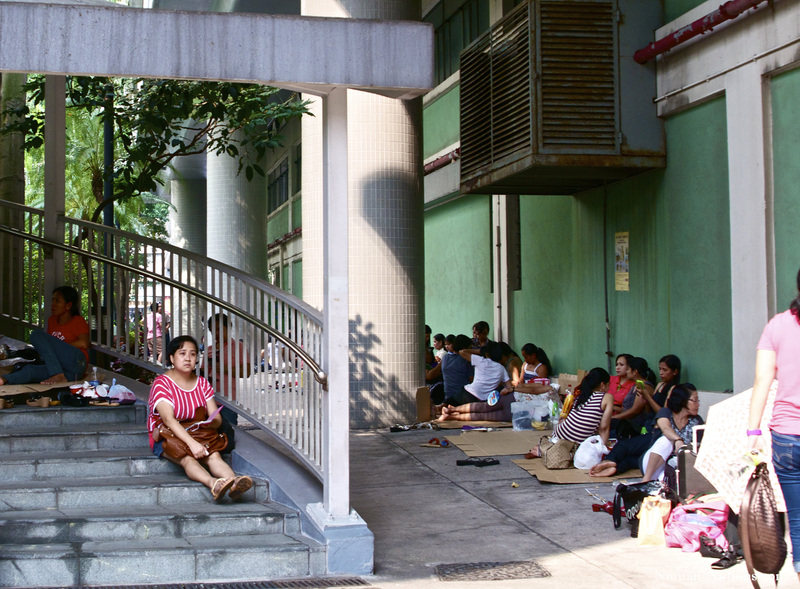 On Sundays, thousands of Filipino nannies are kicked out of their homes/places of work. As a result, they create cardboard cities around the town, where they spend time eating, drinking, and being merry; it’s quite a site to see. Get off at the Central Metro stop and head towards Chater Garden. 3. BYOB rooftop drinking on the IFC building. 4. Morning exploration jogs around the city. 5. A ride on the Star Ferry from Hong Kong Island to Kowloon. Leaves from Central Ferry Pier #7 and costs $0.40US one way. Have you been to Hong Kong? Do you have any suggestions for fun and affordable things to do? If so, please share! 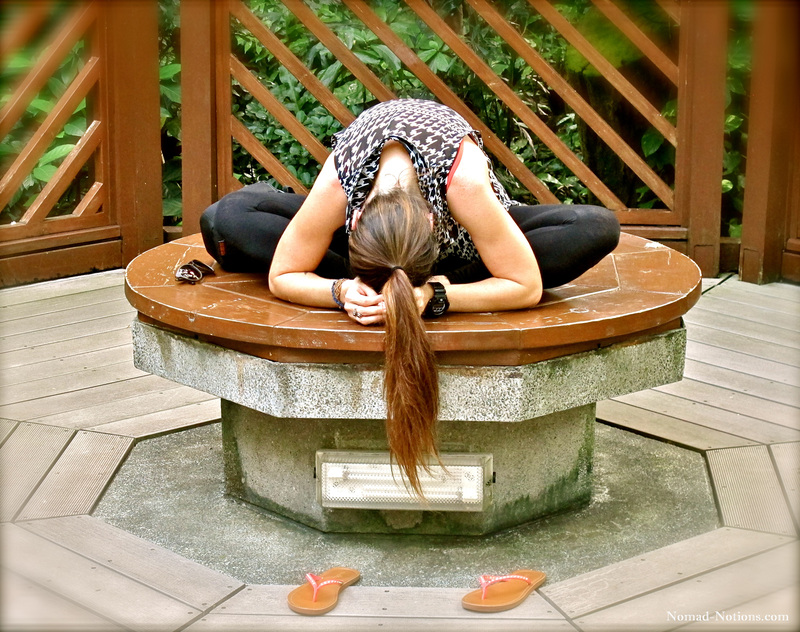 Taking a yoga break in the aviary in Hong Kong Park. Thanks for sharing your post! I moved to HK from NYC 3 months ago, and I think the ‘massive’ impression comes from the totality of HK – which extends well beyond the dense/urban norther part of the main island (I agree, so easily navigated) and spreads out over the beautiful, more naturally preserved southern part and multiple other islands/outer territories, etc. As for the domestic helpers – I also love wandering among them on Sundays! Perhaps some of them are ‘kicked out’, but I think the gatherings are more a reflection of their one day off per week and the opportunity to meet with friends (at least that’s what those I know have told me). Hope you make it back for another visit sometime! The incredible outer islands (Lamma, Lantau, Cheng Chau to name a few), hiking trails (some ending on beaches or near/in waterfalls/’infinity pools’! 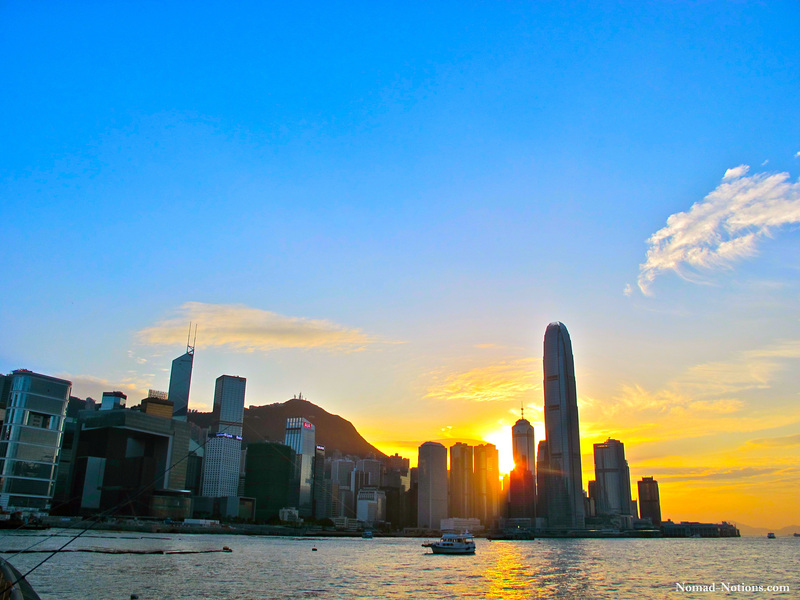 ), parks, temples, monasteries, outdoor markets, evening light show, and ‘junk’ or ‘sampan’ tours are great, affordable ways to soak up HK culture and scenery. And don’t forget dim sum, HK milk tea, and egg tarts/waffles! Yes, I really want to explore the other islands on my next visit to check out some of those waterfalls and infinity pools. 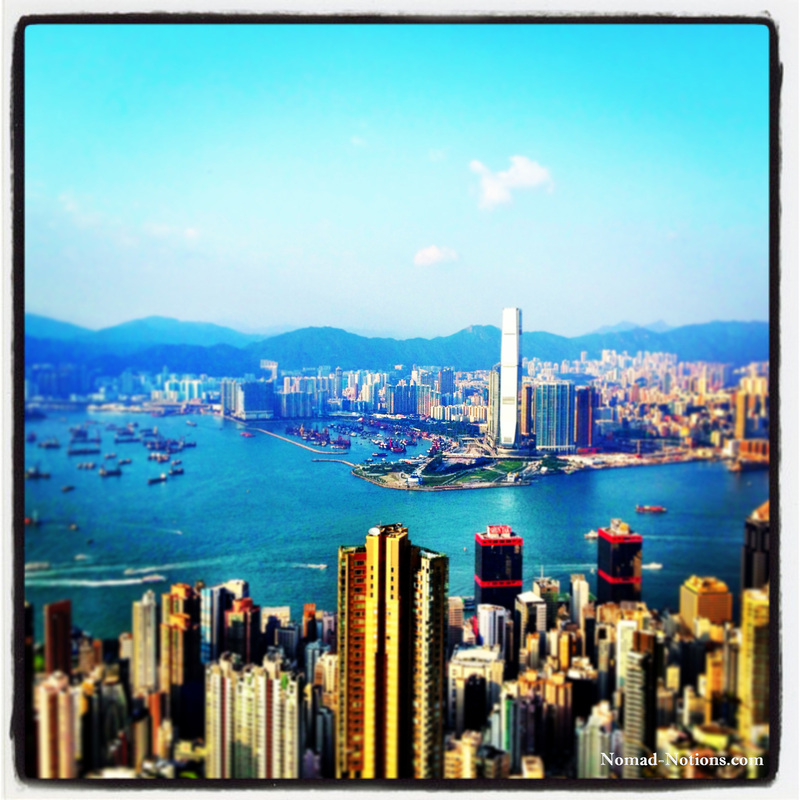 i liked Hong Kong way more than I thought I would 2 years ago and I definitely want to visit the outer territorities. I didn’t even know about them since my trip was on short notice but I know that I missed something good now. Yes, that is a looooong walk haha. We opted for a cab, as the line for the tram was ridiculous. Hong Kong is one of my favorite cities of all time! Each time I visited, something about the city churned something inside of me, begging me to stay; to come and live. I loved how it was a “Western” getaway from mainland China, and how easy it is to get around, how friendly the people are. As a bonus for my job, we had the use of a free apartment (I know, score! ), and it was in the midst of a residential area where the nannies were on display every Sunday! I love that you did without the guidebook. I largely did the same thing, just exploring the nooks and crannies of endless alleys and markets and shopping. Oh, how I yearn to go back! Oh mainland China-I still have yet to visit. 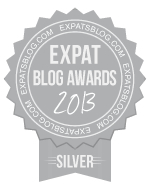 I guess I am easing my way by visiting Hong Kong and Taiwan first. However, from what I hear, they are like night and day. I’m thinking of going to Beijing pretty soon (now that they offer a free 3 day visa) to check out the Great Wall on a long weekend…. But as you say, it’s a beautiful city. some tim now aand finally got the courage to goo ahead and give youu a shokut out from Huffman Texas! Just wanted to say kesep uup the fantastic work! I’m planning to start my owwn weebsite soon but I’m a little lost on everything. Thanks, Gene. My advice is to start with a free Word Press theme and go from there. It’s super easy and WordPress offers tutorials on how to get started. If you are consistent with the blog and decide to take it to the next level, I would purchase a premium theme and custom domain. Hope that helps!